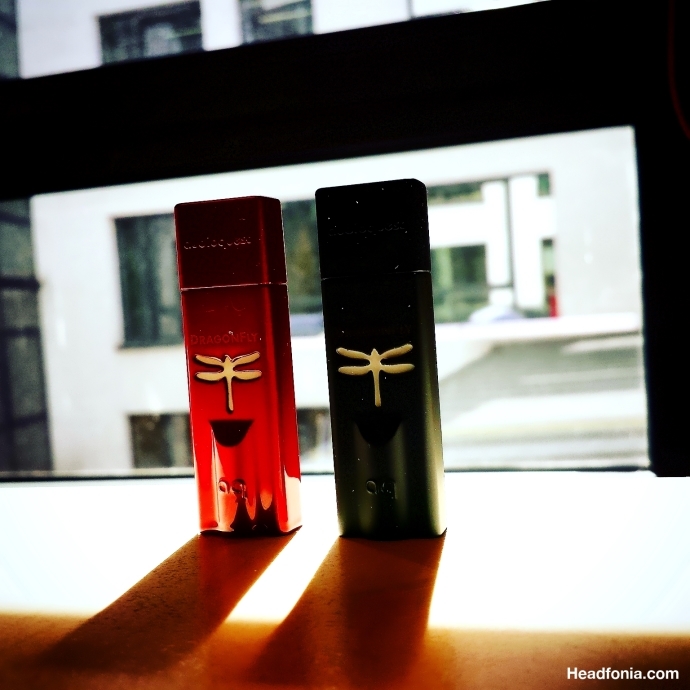 Review: AudioQuest DragonFly – Red or Black? 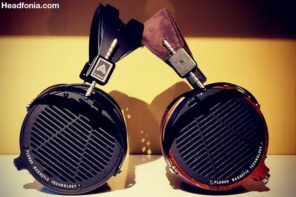 Disclaimer: Both samples of the DragonFly Red and DragonFly Black were given to me free of charge for this review by AudioQuest during our meeting at High End in Munich last May. AudioQuest isn’t a site advertiser and there’s no financial gain with this review. AudioQuest is a US based company and the EU headquarters is located in the Netherlands. 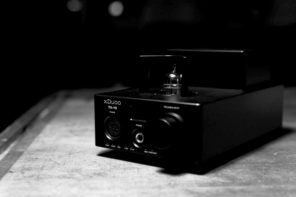 AudioQuest since the 1980’s is mostly known for their cables but they became even more popular among “head-fiers” when they released a very popular mini USB DAC/AMP called the DragonFly. The AudioQuest DragonFly isn’t the first AudioQuest product to be featured on Headfonia, the NightHawk headphone, the DragonFly V1.2 and the JitterBug reviews were both published several weeks/months ago already. The AudioQuest DragonFly isn’t “new” in the sense that the original multi-award-winning version was launched a long time ago in 2012 already. In the meantime that original version has been replaced by the DragonFly V1.2 which at his turn now has been replaced by both the DragonFly Red V1.0 and Black V1.5. So the new Black and Red units actually are the 3rd and 4th version already of AudioQuest’s popular DragonFly series. I have to say that the DragonFly from the original version up to now has grown on me and the RED version’s quality actually is very impressive to me at this stage. If you’re not sure what version of the DragonFly you have then you probably own the original version. The simplest way to distinguish DragonFly V1.0 from DragonFly V1.2 is by looking at the 3.5mm plug as V1.0’s is black and V1.2’s is gray. The latest DragonFly Black 1.5 also has a gray colored 3.5mm plug but the unit on its back has the Black V1.5 details printed in gold. The Red version of course is easy to spot but the material used is also different. It does feature the same gold “specs” on the back of the unit as well. For those of you who aren’t familiar with the DragonFly yet (is that still possible? ), you can basically say the DragonFlies are USB-dongles which serve as DAC, pre-amp to a power/headphone amp and headphone amplifier all in one. Small packages with a big bang for buck measuring only 12mm (h) x 19mm (w) x 62mm (l). The build quality of the DragonFly is excellent. 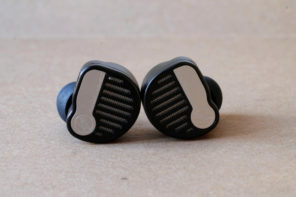 Their finish is great, they’re small and you can put them in your pocket or drop them in your bag without any worries. The Red version does feel nicer as the casing used has a harder feel to it and with its red gloss finish (or automotive finish as they call it) it simply looks shiny and attractive. Both new versions of course still have the DragonFly LED-feature, which shows you what sample rate the unit is receiving from your source. Red: Standby, Green: 44100.0 Hz, Blue: 48000.0 Hz Amber: 88200.0, Hz Magenta: 96000.0 Hz. Be aware the DragonFly units don’t do DSD, but more on that later. While the original DragonFly defined the market for micro-DACs, its USB power draw made it compatible with computers only. Music lovers have craved a more portable version – one that could be reliably used with Apple and Android smartphones and tablets. The new Red and Black were born. AudioQuest and DragonFly designer Gordon Rankin worked alongside Microchip Technology to develop a new high-performance, full-speed USB microcontroller solution that delivers improved signal-to-noise ratio and significantly lower power consumption. Drawing 77% less current than the previous microcontroller, the new Microchip PIC32MX microcontroller enables true compatibility with Apple and Android smartphones and tablets (OTG with the correct software) although it seems it’s not always 100% guaranteed to work. That however isn’t related to the DragonFly but rather to the OS implementation in your Android or Apple device. It should work on Apple iOS 5 and newer and Android 4.1 and newer (For Android devices, see owner’s manual). I had both the Dragonfly Black and Red for one week and ending keeping the Red because it’s more powerful and can drive also my Sennheiser hd600 just fine. My sounds impressions were different from yours, the Black was the one with more bass body and the Red more neutral. Also on head-fi this seems the general idea. The killer feature of this device is the iOS compatibility. The 199$ DFR easily outperforms all of the <1000$ daps in the market (according to Darko review) so this is a bit of revolution for Hi-Fi on the go. Are you saying that the DF Red is iOS compatible, without a powered USB hub? My understanding from AQ (I have the Black and the v1.2) is the Black draws a small enough power to run directly from an iPhone+Camera Kit, but the Red requires more power and will not run directly from iPhone+Camera Kit. I check the AudioQuest site, which says (apparently) that both Black and Red will work directly from the iPhone plus Camera Kit with no additional power. But since both DF’s are passive and the Red outputs 2.1v compared to the Black’s 1.2v (i.e. almost twice as much), then the Red is somehow pulling more power from the phone to get the increased output, but without triggering the iPhone warning “Device requires too much power”. It would be helpful if someone explained. hi dale…hopefully i understand your comment. they were designed to work with ios and android, unlike previous versions. low power draw…i have the df red…use it with my ipod touch 6 (using cck cable)…works like a charm…can be more finnicky with android i’m reading. I am seeing now that Red works with iOS without a powered hub. But, what I want to know is what got sacrificed in order to provide all that extra voltage compared to the Black? Is it really drawing more power and fooling iOS into thinking that it’s not drawing more power? The DF Black surprises me in that it drives my headphones better than the phone itself, yet it’s not logical that a passive device can boost power. Red raises that question to a whole new level. You’re mixing up voltage and power here I think. The DF in this respect is not a completely passive device. You can use a circuit called a charge pump to generate a negative voltage which gives more voltage headroom, but the power (energy) of course has to come from somewhere and it can only be the device battery since the DF doesn’t have an external PSU. However, the two DFs use different DAC and they could use different output stages. That would explain why same power in might not result in same voltage out. In short, there’s too many unknowns here about the circuit to explain 100% why there is a difference, but there is nothing that makes what AQ specs inherently impossible. Actually I’m not mixed up, since I left the power equation an open question (we knew about E=IR and P=EI many years ago). My question, in light of the fact that the Red seemed to be more powerful (in some way), was what was sacrificed to get there. I wouldn’t necessarily expect that the sacrifice (or compromise) would be in the DragonFly, but if it’s in the phone, and given that the iPhone has numerous issues with heat and power drainage, then maybe someone has explored that combination. So whether we say voltage instead of power, in the end the phone has to supply all of the juice. I think what he meant was you know that the the voltage is 2x, but you don’t know the current draw differences between red and black. 1) Something about the amp interface is too complex to allow a simple wattage spec. I got my answer with the DF Red today. The Red lowers the volume (or efficiency) about 10 db compared to the Black. Not that the Red wouldn’t work with most headphones, but where the Black was amazingly efficient, the Red is not. I have no issues driving the red with all my android and ios devices. I returned the black version because the red is much better and very close in sound quality to Chord Mojo. I noticed there was not any battery drain difference between the two, but the available volume of both is much, much higher when plugged into pc or laptop compared to mobile devices. Yavor, do you still consider Red’s s.g. being close enough to Chord Mojo? How would you describe Red’s s.g. in general? Is it warm or neutral? I’m after a portable solution to give a hint of warmth to my etymotic’s. The DF Red is quite neutral with most headphones. It’s possible that someone could hear it as slightly warm, but that would be an extremely subtle distinction. Hi Dale and everyone. Thank you for your comments and questions. I’ll try to provide some useful information: The original DragonFly and its successor, DragonFly v1.2, were specifically designed to be used with laptops and computers. 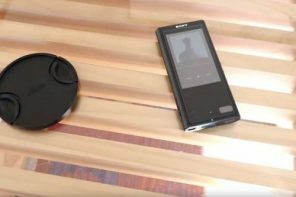 Although they draw too much power from their host device to be reliably used with smartphones and tablets, some adventurous enthusiasts such as John Darko, Michael Liang, and others, have managed to successfully partner early DragonFly models with mobile devices by incorporating a powered USB hub. AudioQuest admired but never supported that application, however. We wanted to achieve a more elegant, reliable, user-friendly solution. We worked closely with Microchip Technology to design a new microprocessor — a low-noise, high-efficiency solution that enables true compatibility with mobile devices. Compared to the previous microprocessor, the Microchip device draws 77% less current. Both new models — Black and Red — use the new Microchip microprocessor and are equally compatible with Android (4.1 OS and newer) and Apple mobile devices, as long as the host device supports audio over USB and adheres to the USB specifications. That last bit is especially important because we’ve found that some Android devices do not support audio over USB and many do not adhere to the USB specifications. To be absolutely certain about whether DragonFly will work with an Android device, we ask that potential users contact the manufacturer of the Android device. To verify that an Android device complies with isochronous USB audio, we recommend the USB Host Check application. For a reliable media player that has its own built-in USB device driver, ensuring reliable connectivity to all USB DACs, we suggest ExtreamSD’s USB Audio Player Pro. We are also working on our own solution. To clarify, both Black and Red can be used with Android and Apple mobile devices, and DO NOT require an additional powered USB hub. They do, however, require Apple’s Camera Connection Kit (Apple) or an OTG (On the Go) for Android (Android) cable. In the case of Apple, customers must use Apple’s CCK. In the case of Android, AudioQuest offers our own DragonTail for Android USB adaptor. In addition, Apple’s Lightning-to-USB 3 adaptor allows Apple users to charge their mobile device while connected to DragonFly. The new DragonFly models also incorporate improved 32-bit ESS Sabre DAC chips—the 9010 in Black and the higher-performance 9016 in Red—both of which employ minimum-phase filtering for naturally detailed, more authentic sound. While DragonFly Black uses the same high-quality headphone amp and analog volume control found in the DragonFly 1.2, DragonFly Red includes the latest ESS headphone amp and a bit-perfect digital volume control that resides on the 9016 DAC chip itself—a sophisticated implementation that ensures maximum fidelity, dynamic contrast, and signal-to-noise ratio. DragonFly Black outputs 1.2 volts—enough power to capably drive all preamplifier input circuits and all reasonably efficient headphones. Meanwhile, with its higher 2.1-volt output, DragonFly Red is compatible with an even wider range of headphones, including power-hungry, low-efficiency models. I hope this helps. Thanks very much. Hi there. I am wanting to purchase the dragonfly black or red , my problem is , as I’ve read. I have my pcn has vista , which does not support dragonfly. Secondly I have most of my music on ipad 2 . Which needs the older 30 pin camera adapter. Then I read that Apple lowered the power on some of their devices from 200ma to 20 ma ? So would a dragonfly black or red work for me ? Without a powered hub. I just tested the DragonFly Black with the 30-pin camera kit adapter on an iPhone 4 or 5 (30 pin port), and it worked fine! My pleasure, Lieven and Dale. There is something I forgot to mention: This may seem counterintuitive, but, despite Red’s higher output voltage, it actually draws less current from the host device. This is because Red uses a superior, more efficient headphone amp. In order to drive headphones to the same volume, Red actually uses about 20% less power than Black. I’ve been able to link here from a few other places for this info. I have the feeling lots of people just can’t believe that the latest DragonFlys can sound so good and play so loud. I have tested them both and the imaging on the red is far better. They both work flawlessly just out of my personal LG phone, my business Iphone 6, Ipad Air 2, Toshiba laptop and PC running Windows 10. Truth to be told, they both have bigger sound out of the PC and the laptop. Dale, no both red and black draw about the same current. So either will work with IOS without a hub. Good to hear from you, Gordon. I’ve had complete success now with both, although I like the Red better. Whatever the power draw, one thing that’s been consistent is the much higher output of the Black. That is to say, it plays several db louder across the board. Just out of curiosity, if I were to use this with the Samsung S9+, would I need to get any other apps in order to output the audio through the DAC or would any music player be just fine? That is a bold statement of him to make but it really is an incredible unit for the price. I really do feel the bass of the Black is tighter and lighter in body compared to the Red one. Different ears I guess. Thanks for the comment! Lieven, you say for “the DT770 with the Black you get good and full bodied bass and good speed overall. With the Red I find the bass to lose a little of control and I prefer the faster sounding signature of the Black with this headphones.” Fully agree. Weirdly, I thought first to get a similar effect with the K702 as with my DT770 with the Black, adding here noticably fundamental tone/body and softening the treble yet adding detail. Astonishing is – it does similar things with the classic HE60, making it sound like an enlightened HD600 on steroids. And all of that for €99. Very nice indeed. Would you say that about the DT 1770 pro too? The DF Black works very well driving the DT1770 Pro. I’ve had my DFB for two months. Its the secret sauce for my Amperiors. Soundstage, imaging and base all drastically improved. I use it on the go with my Samsung S4 and at home with my laptop. I can’t think of money better spent. Thinking about getting a jitterbug. Wonder if it will drive AGK7xx or fostex headphones? The DF Black drives my Beyer DT1770 OK, and the K7xx should be even better. It’s an hour later now from when the email arrived for your latest post, and still it isn’t showing here. Anyway, the K7xx will be a little on the lean side and may seem bright with the DragonFly. So if that turns out to be the case, maybe look for a tube amp. That’s what I use with some headphones. Dale, I use Red&Black with my K702 and have great results. Their somewhat higher impedance seems to like the flys a lot. 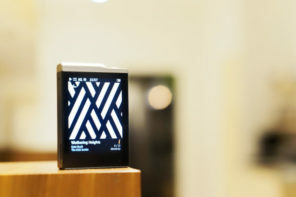 I want to buy sony A25 or FiioX3 or Dragonfly Black or Red.SQ wise which one do you recommend? You will get better SQ from the DF’s, but to decide on red or black depends on several factors, so you would need to read the review and ask about specific factors that are important to you. 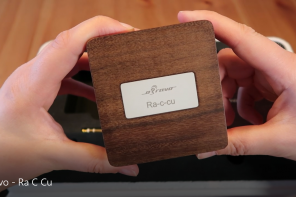 The whole review sounds like paid advertisement for AudioQuest DragonFly…I understand that the author “likes” the product “a lot”…but reading the review i get that feeling that his neutral bias is challenged..to say the least…. I can’t say I agree. Have you read my 1.2 and JB review? I can assure you we can freely write whatever we want. The DragonFly units simply are very good, especially the RED and that comes from me, a guy that doesn’t like USB dongle sized audio gear. That’s silly. I’ve had 3 DragonFlys so far, all were amazing values. Reviewing a DragonFly is a win for everyone, because everyone pretty well knows what it is. Do you know if the update included the MQA codec, and whether you can use it on any music tracks? How would you compare dfr to the oppo ha-2? The Black is better, more spacious, so I assume the Red is better yet. I’m afraid I don’t have the HA-2 with me, sorry. How would you compare the Red Dragon to the Apogee Groove? Of course paired with my beloved Sennheiser HD 650. I listen to my music files from a pc on Altec CS21 amplified speakers and wondering if adding a Dragonfly usb unit would add something and provide noticeable better sound through the loudspeakers. Is it woth the try and which one would be the best for this ? Will be setting up my system difficult ? Will I be able to listen to all other sounds like youtube vids again or is it only possible by playing music files by using foobar for example ? How exactly do the speakers connect? What output port on the PC to what input port on the speakers? What type of connecting cable?. Do you control volume on the PC or the speakers? Do the speakers have volume controls? You can then use the DragonFly as the DAC, and instead of the 3.5 mm output of the sound card, the 3.5 mm output of the DragonFly will feed the speakers. The amount and type of improvement is unpredictable. I listened to a pair of KRK VXT4s with my phone and dragonfly black. The sales person, who was more familiar with the speaker, wanted to know what it was and where I bought it. Significant improvement. My first impression was how spacious it sounded, without increasing any treble. But the slight grainy effect (on headphones) would improve with the right amp attached. I’m using ODAC atm. 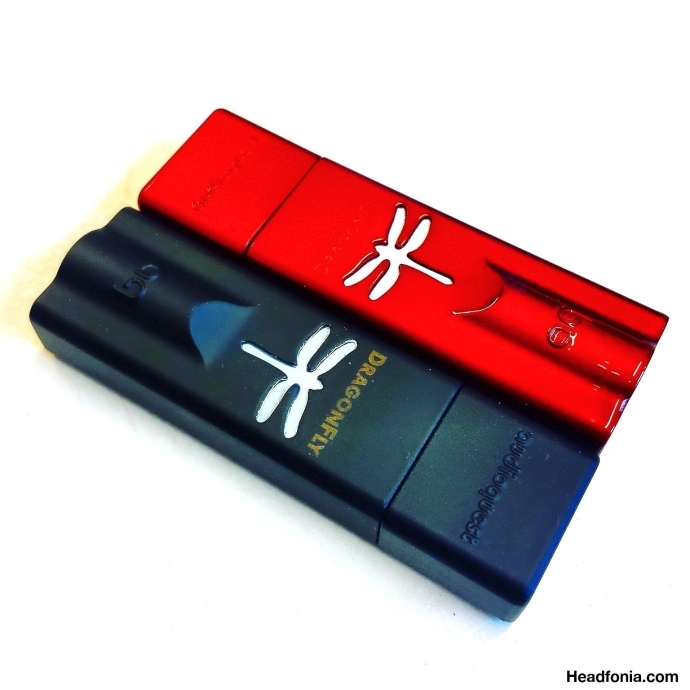 How does the dragonfly Red as a DAC compared? Also how do some older USB-powered DAC like the HRT or Herus (pretty pricey) compared to the DFR? I plan to buy iphone 7 and I am usually using my dunu-2000j on the go and Fidelio X2 when I am home (I do have access to schiit uber stick, though). Do you think buying red would be an overkill for iphone7+dunu2000j combo? Do you have to adjust the volume a lot between the Dunu and the Philips? Then yes, get the Red. Thanks Lieven for the review. I bought the Dragonfly Red after reading this (and I’m quite happy with it). However, I would need a recommendation. When I am using it with a pair of LCD 2 (fazor), though they sound good, I still have a feeling it could sound even better. Most of my jazz tracks are OK/enjoyable, but quite all my RnB/Hip Hop tracks feel weak and thin in the bass section. From multiple reviews/comments/forum discussions I’ve gone through so far, I hesitate between getting: the Chord Mojo, the Theorem 720 and the Shiit Lyr 2 (within the limits of my budget). Can you recommend what would be a good matching with the LCD 2F (one of the 3, or something else), please? I use a mac (with Roon player, uncompressed files), a Fiio X1 and CL Picollo amp (I got this after reading the X1 review actually). Thanks. Hi! Don’t you like the LCD with the picollo? I do. The Theorem is basically an improved version of the Picollo with the LCD. I have tried these combinations: X1+Picollo+LCD, Macbook+Dragonfly Red+LCD, and Macbook+DF Red+Picollo (max gain)+LCD. The last two give a sound I enjoy more (slightly more with the 3rd combo). I was thinking there could be something else I could put between the Mac and LCD to have a far more better sound. Can you think of something? But if neither of the Mojo, Theorem or Shiit (or anything else) would give a “day-and-nigh” difference, that’s OK. I will just stick to what I currently have. I just want to be sure there is no real improvement I can make. Thanks. Way to complicate a very simple plug and play device. Most of us are audio purists trying to get the best sound from our mobile devices, laptops included. Today very few people want to be anchored to a desktop PC or Mac with the configurations of so many of todays best convertible laptops and powerful tablets. Yes, Im speaking Surface Pro 4 as an example. Android smartphones, Samsung in particular actually have very good DAC’s built in. Galaxy Tab S2 9.7 as well. Audioquest is by all means an excellent company providing cutting edge audio devices and extremely well built cables. The over-complication of Red, Black, Black 1.2 and so forth lead me to believe money is at this driving force now. More devices, more choices, more confused end users. I will say this in conclusion, my Dragonfly 1.2 is balls to the wall amazing. It works quite well with all my devices. I love the simplicity of it. Moving forward ALL versions max out everything from MP3s to FLAC to BluRay at 24-bit/96kHz high-resolution. Simplicity people, that is the fine art of natural, audiophile acoustics. Too many chefs is the kitchen…you get the idea. Thanks. My DF Black is superior to my DF v1.2 – more spacious and airy – verified at some length. But how a person relates to that depends on their source as well as their music and what they listen for. Speaking of complicating things…. David, really the dacs in any of these mass produced phones and tablets really don’t preform very well. As someone who has designed for them, they have too many cost accounts holding back their capabilities. Regarding your problem with Foobar when encountering music at 192khz, you can use a plugin called resampler-v where you can set 192khz and 176.6khz to be downsampled by half, all other music of compatible sample rates will be left alone. Personally, I am disappointed that neither dragonfly accepts 192khz as it really it a sizeable improvement over 96khz. I still have a cambridge audio dacmagic xs which you can switch between usb 1 and 2 modes so on a public computer you can just plug and go whereas at home you can install a driver to get 192khz. I don’t buy the arguments about increased rf noise at 192khz, many dacs are even simpler and manage just fine. I’d imagine the majority of buyers are audio enthusiasts, I wouldn’t mind a physical button to switch sample rates and adjust the volume. For the moment though, I won’t be buying this because of a lack of 192khz. A lack of dxd and dsd is more understandable as those content are rare and you can use your desktop dac back home. I put a higher priority on low power because it makes the DF’s more universal. Either way, Some people might find the Red or Black to sound better at 96k than another DAC at 192k. At the price they sell for, well worth trying. May I ask how would the Dragonfly Black & Red compare with FiiO E17K Alpen2? I listen to mostly classical & instrumental songs using my HD 598. DragonFly has a more spacious, airy sound. I have my pc has vista , which does not support dragonfly. Chances are that if the 30-pin camera kit supports other low-power devices, it may support the DragonFly too. My DragonFly works on Windows XP, and since Vista is newer, why would Vista not work? Are you missing a driver? Derek, vista is supported, you just to deal with KMixer which is well documented. It clearly states on the audioquest website that vista does not support it. Apparently Microsoft and audioquest are working towards a solution. But I do have a Samsung s7 so I could use a on the go usb. But back to the ipad 2 issue .read on YouTube that you could use powered hubs or plugable for some devices , but not all. Would like confirmation that I can use ipad 2 with dragonfly. I ordered a 30-pin Apple camera kit, and when that arrives (Friday) I’ll find someone with a 30-pin iPad or iPhone and try it. It will probably work, but we will see then. Just so you know, the S7 (or any Samsung device for that matter) doesn’t work properly w/ the new Dragonfly DACs. Samsung cripples the USB OTG…you basically have to turn the device all the way up to get any volume out of it. Contrast that w/ the iPad Pro 9.7 I’ve got and the device is at about 25% when it is ear piercing. I’ve got a Oppo HA2 and it works properly w/ S7. So clearly an issue w/ the software’s not talking properly back and forth. Did you try the Samsung cable? Hope so, it’s to do with a too much power error message that people get on some devices. Then they work round it with a plugable hub or a powered usb hub. But since the new red uses less power than the new black it may work. Also I read that the 30 pin camera adapter has 2 slots .one for sd card and one usb .and sometimes the sd works but the USB not. There could be a switch on the side that could fix this? Im fascinated to see how it goes. Hi! Quick question — if I am using an iPhone 7 Plus and IEM’s (V-Sonic GR07 Classics to be specific), should I be fine with the Black or should I go with the Red? The GR07’s are 50 ohm IEM’s and even with my old iPhone 6 Plus and my current 7 Plus with the Apple dongle I reach my maximum comfortable listening volume at 75% of maximum volume, if that. If I get the Black, I assume the volume controls won’t change that much but with the Red will that mean my ideal maximum will be less precise? Thanks! How do they compare with ifi products and especially the Nano iDSD? Fiio X5 first gen. vs ifi Nano IDSD vs Encore MDSD (Sonic Unity) vs Dragonfly Black. That makes sense. A better comparison would be the Red compared to the v1.2. Supposedly, Audioquest is going to make the Dragonflys MQA enabled somehow. They are doing it with an update, I believe. Do you know the facts? If so, will it do as good of a job of decoding MQA as the Meridian Explorer 2, or the upcoming Mytek Clef? As you know, these are similarly priced DAC/ headphone amps that do have MQA technology. Hi. I read the review, great stuff. I had the black dragonfly and lost it (god bless my soul) a few weeks ago which I simply cannot find. It was the newer black dragonfly, as I purchased it last fall (and I believe it was the v1.2). I’m unclear about what you mean when you compare airy bass and crisp bass. Or, when I read your article I did not know how the basses were explained. I’ve been listening to bass-defecit audio lately but I think it’s due to the speakers or headphones. I just need help adding bass to my system, its bass depleted and I listen to heavy electronic/rock music. 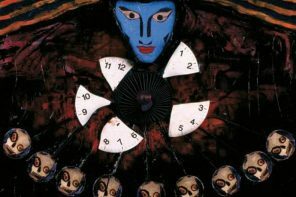 Details of my system can be explained if someone responds. Ty! Airy and Crisp aren’t used to describe bass as far as I know. The bass descriptions are more like Tight, Firm, Impactful, Layered, etc. What headphone are you using that is bass-light, with what amps? Anyone know how the red or black would compare to the PONO player? Specifically for hi-res music on my iphone. John Atkinson has done the best reviews of the Pono player that I’ve read. The DF Red sounds very very good – likely at least as good as Pono. The real important differences are the one-box Pono solution with fixed features, versus the flexibility of the Dragonfly. I know I’m late to the party, but I was wondering if should get the red or the black? My purpose is to use it for my mobile device to stream music from Spotify and Pandora. My headphone jack is not enough to tickle my fancy anymore ha. The Black plays much louder being more efficient, but the Red is better quality – smoother, less grainy (or something like that). I gave the Black away and bought the Red – very happy now. Can the RDL plays with Beyer DT 1990 Pr (250 ohm)? Anyone try? Pls let me know! Thank you! 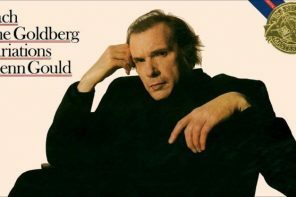 By all means, now if you like the sound or not, that’s only something you can decide about. Any way to audition? I mean that could the DT 1990 has fully preformance when combine with RDF? Or we need orther additional equipment? I use IP7 as sourse and I will get RDF next week. Could you please recommend some DAC?AMP which could use all potential of this headphone? Thank you. Hi. 🙂 Has anyone tested Red or Black with Bowers&Wilkins P5 headphones from an iPhone 6? I’ve tested the Red with a lot of headphones with iPhone 6 and 7 (all good), and I’ve also tested the Black with a number of headphones and devices, including an iPod Touch that has the 30-pin port, using the old Camera Kit. That all worked well too. I found the Black much more efficient – several decibels, so it plays a good bit louder than the Red. Still, the Red has enough volume to damage your ears right now with the B&W P5 – more than enough. And it’s smoother, much better than the Black. BTW, adding in a JitterBug can also make a difference in some cases. Thank you! Very helpful. ???? Seems like Red is the one to go for. ???? My English is not perfect but i try. Verry good and detailed review, thanks for that. I own the v1.2 and the Black and use them a lot. I am verry happy with the DragonFly’s, specialy the Black (don’t know the Red yet). But one thing, i don’t agree with your opinion about the build quality. Out of the box they feel verry sollid, but after a wile chanched the were not so sollid any more. The usb plugs of both my DF’s are getting lose in the body. I can move the usb when i am holding the body in my hand. The Black stoped working when i moved the usb plug in a specific position, when i moved the usb back it worked again. I received a new Black from my dealer and this one is still ok after a few months. Perhaps i had bad luck, but becouse of my experiance i am a little afraight to buy a DF Red. But overall i am verry happy about the SQ of my Audioquest product. Since both of your DF’s have problems, it’s probably not just bad luck. But since none of the 4 DF’s I have (or had) have had problems, then my guess would be that yours must be getting strain around the connectors. Oddly enough, the warnings that AQ usually gives about the DF are not about the headphone jack, but about the USB jack on the computer, which can be loosened by weight placed on the DF from heavy cables and tugging on those cables. When i use them in the usb port of my Mac or laptop i use a AQ Dragontail so they can rest on my desk to prevent force from the audiocable to my amp. But when i use the Black during travling (daily in the train) in my iPhone i can imagine there will be some force on the USB jack. Do get in touch with AudioQuest to get their ideas on how to protect the DF’s (assuming of course it’s not defects) in daily use. 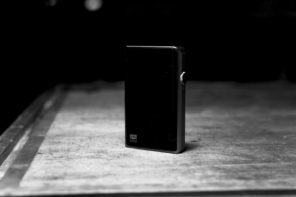 These little DACs are a valuable add-on for phones – I couldn’t get along without them. I’ve got the Klipsch X10i IEM’s which IMO sound great on my iPhone 7. Been using these with an app called Radsone which plays flac files (bit of a pain to load them onto the device but that’s a story for another day). My question is: Is there a specific audio app that one should use with an iPhone which will allow the device to switch from using the phone’s dac to the DF’s or does this happen automatically when one plugs in the DF? It switches automatically. And just a note: The Black is way, way more efficient than the Red, and a tiny bit grainy at that. It wouldn’t be my choice for an IEM, but since each IEM is different, who knows? It might work OK for you. Thanks for the feedback… Gonna pull the trigger on the Black for now… our exchange rate here in South Africa complicates things somewhat. Hi guys, has anyone tried one of these devices with Grado cans? I need a DAC/amp at work (impossible to install any drivers) and I have the SR325is and just bought last week used RS-1 in perfect condition (I really fell in love with it’s musicality). At home, the RS-1 sounds a bit too bright with my Audiolab M-Dac, but I like the pacing and transparency. I’m listening to all kinds of music, but especially classical as I’m writing CD reviews (in French, so sorry for my English). In my opinion, the DF Black would be too rough sounding with the SR325, assuming you’re using the standard earpads. The DF Red should work very well, but it could still be bright depending on your music tracks and your tastes. I think anyone who finds the Grados (from the 325 down) too bright or harsh, should try tube amps if they can. Thank you Dale. Tube may be a solution. The guy at the HiFi Store told me exactly the same thing yesterday. Hope I’ll find something that doesn’t need any drivers! As tu essayé de dragonfly red finalement ? Quelle a été ta solution finalement ? If the Dragonfly Red does not have all the power for the Hd650s, what equipment to use 650’s potential at this price range? Between € 200 and € 300 DF Red is still the best choice? and for that value have some amp / dac desktop that is better for the 650? for a small amount, is it better to invest in someone else who makes the 650 better? The 650, for some music tracks, needs a lot of power, and the DF Red doesn’t have any power of its own. So I would be looking at a DAC/amp that has a good output power. You could give this a shot. It has more than enough power for the HD650. Before any decision, I’m waiting for you to review with the HD660s, I want to hear from Lieven if the bass of the 660 is better or equal to the 650. For the 660 being similar to the 650, it has only 150ohms, being so easier to drive, maybe even with a dragonfly. thank you guys. Just so you know, the HD 660 S was designed with the same frequency response curve (relative volume of each frequency pitch) as the HD 650, however it has better technical performance and lower distortion. Sennheiser had a different measurement coupling 14 years ago for the HD 650, so while the SPL sensitivities on their product website are only a little different, the HD 660 S does in fact require less current and voltage. I can’t guarantee the new headphone is a match for the Dragonfly Red, however I bet both headphones would get “loud enough,” while your experience will be better with the HD 660 S. As Lieven said, the bass energy won’t compete with a full-size good amp, and I would add to that separation and soundstage… the HD 6-series scale up with source gear costing more than the headphone itself. I could wait until it was worth the HD660 and if it was a good final acquisition. 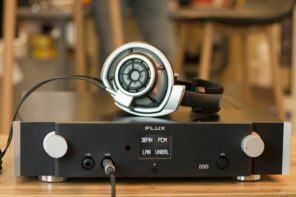 I am in these doubts about these two headphones and the amp and DAC because it will be a choice that hit them, it will be the sound I would use for many years, because I would not seek other headphones. I like the signature of Sennheiser. To close then Lieven. If in your opinion, the sound of the 660 is not like the 650 and seen the HD650 have the best bass and a more pleasant sound to hear. I’ll take the 650 then! Since I can only buy one equipment at a time, due to the budget. Would I buy the HD650 first. 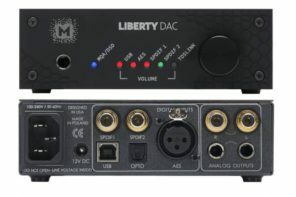 would first look at an amplified or a DAC? From what I noticed the amplifier is more important, then invested more in it than in the DAC. AMP A20 has sufficient power for HD650, but how does it present its sound? A neutral/warm/bright sound? And the DAC you’d use with the A20, would DF black give that combination? Note: In purchasing the HD650, considering the average value €340, for more €119 in case €459, on the Sennheiser website, buy the 650 Groove pack. For €119 worth investing in this configuration? I would try to use Groove as DAC along with Amp A20, what do you think? I don’t like the Groove, no idea why they are selling that for the 650. Would you recomend the a20 or the JDS El Amp with the 650s? Thanks for the reply, Lieven. I saw your review of the Amp A20, and I saw that you liked the sound of it with the 650, so I mentioned it. On a clear Dac, I saw in the Review of DF Red that you defined his sound as clear and neutral, so I’m looking at the DF Red. Chord is above what I can now, I would only look at him if he could play the role of amp and dac that the HD650 needs and give it the power it needs. @IGNI FERRO, From what I’ve seen so far about the 660S is that even the frequency response curve being similar to the 650, the 660S sounded brighter than the 650, looking more like the 600 with more bass power. I would really be interested in it if it had the 650 signature (bass / mids / treble) and since it has half ohms of the 650, it would be more compatible with amplifiers that do not have that much power. Like the DF Red, if it does not account for the 300ohm of the 650, maybe it would account for the 150ohms of the 660S. That would be very good as it would save on amp. Thanks for the comment. Hi anyone tested the dragonfly on a raspberry py ? With moodeaudio ? I’d like to connect the Dragonfly Red to my iMac’s USB port, then run a cable from the DFR to a stereo receiver. I would be using headphones plugged into the receiver’s phone jack. I’d control volume with the receiver’s volume control. There are no plans for portable use. Any thoughts about this arrangement? Thanks. Running a long cable from a DF Red is very risky. I’m sure lots of people will say “I do it and it’s no problem”, but I didn’t have such luck. I’d ask support at AudioQuest what cable (if any) they would use for the length you need. I’m thinking about buying the DFR to use with my Philips Fidelio L2 headphones connected to my Toshiba laptop (Windows 10). Do you think it is a good choice, please? Yes. It should sound better than the laptop headphone jack on all counts. The L2 is a good headphone. Worst case would be a little brightness on top, but that’s better than low quality sound, and not a property of the DF. I have an Samsung Galaxy S6, Lenovo Z570 and Bang and Olufsen H6 second generation headphones. I use Spotify and Tidal. I currently have the Fiio K1 and I’m thinking of replacing it with the DFB or DFR. Out of the DFB and DFR, which one is recommended for my setup? What are the differences between Fiio K1 and dragonflys? Is it worth buying dragonfly? You could use either DF with the H6. I’ve had 4 H6’s and every DF. 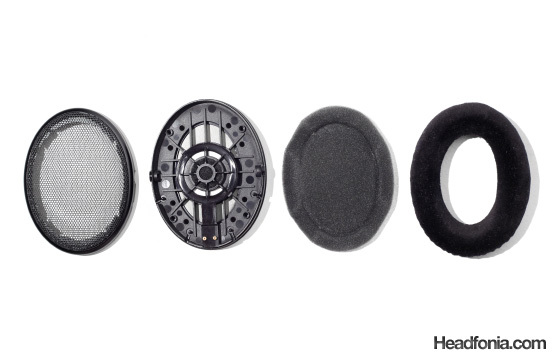 The H6v2 is a very good headphone and would benefit from the smoother sound of the DF Red. Well worth it in my opinion. The FiiO K1 is not much different from the Apple dongle that comes with their phones that have no headphone jack. It’s better than the internal DAC of most of the older phones, but not comparable to a DF. With fiio k1 H6’s bass is not so strong. And I think this is the characteristic of this headphone. Or maybe K1 is not good at with bass. Some people say that Dragonfly Black’s bass is strong, Red’s bass is weak. I got confused. I mostly listen to jazz, latin, acoustic music. But I love rock, metal and pop too. 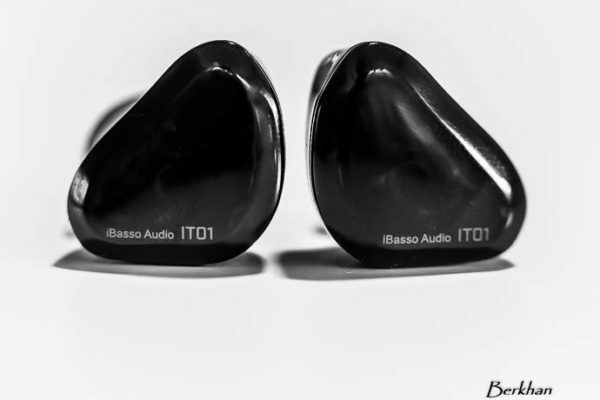 If you think of mid and bass, which one do you suggest? By the way, thank you very much for your reply. The H6 bass is a little bit uneven under ideal circumstances, and it’s worse under many common circumstances. Basically, if you listen in a very quiet place, without glasses on, and get a very snug fit with the earcups, the bass should sound very good. 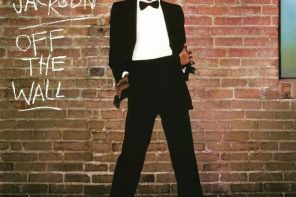 But get a little bit of leakage, or use it in a noisy place with deep bass in the background (i.e. traffic or public transport), and the bass will dry up. I have had the DFB for over a year now and love love love the little dac that does magic to my ears. But I recently purchased the NAD Viso HP50 and was thinking about getting the DFR. Since I stream on the go i guess I don’t need the red for fidelity sake. Should I even bother considering the Red over the Black? Price isn’t an issue. I’m not a true HiFi guy, more of a MoFi guy I guess. Buying a JitterBug says “True HiFi guy” like nothing else. So yes, get the Red – it’s much better, which you’ll notice more the quieter it is where you listen. İ have bought fiio x3k 2years ago and used with audio technica ckr9,but i did not like fiio’s sound,i decide to change it with df red or black,which one can sounding better with ckr9? DragonFly Red would be best, but costs more. Well worth the money. Note also about DF Red or Black: The Black is *much* more efficient (louder), no matter what anyone claims. 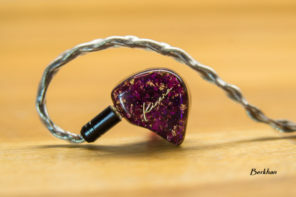 I think with IEMs, there would be a risk of background noise with DF Black. The quality is highest in the Red, and the Red costs twice as much. That is obvious. The only other thing I noted was the sensitivity (efficiency) and how it could affect background noise. This means that the black has bad noise in background? If the money does not matter, choose red? I did not say that. What I said was the Black is much more sensitive, and with sensitive IEMs the background noise will be much higher than the Red. I did not have noise with DF Black because I did not use IEMs. Can you help me choose one of these? 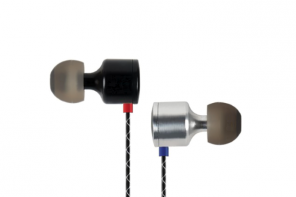 Which one is better for audio technica ckr9? Which is the best in sound processing? Plese compare them for me. I like so natural and clear sound with soft and deep bass,not loud. Maybe someone here can answer this. I am not familiar with the Topping amp, but I highly recommend the iFi black label. The big volume control knob is a very valuable feature, but as you know, it’s not as small and portable as the DF Red. Another advantage for iFi is the built-in power. The disadvantage is it has to be recharged. 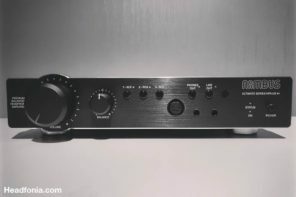 Amp/Dac for Beyerdynamic Amiron Home ?